Slow Fiber Studios Shop just added a brand new item by WSN Member Catharine Ellis. In case you aren’t familiar with the term woven shibori, here’s an awesome video featuring Catharine Ellis and her designs to quickly get you informed. Catharine has designed these scarves, woven at Oriole Mill in the good old USA! 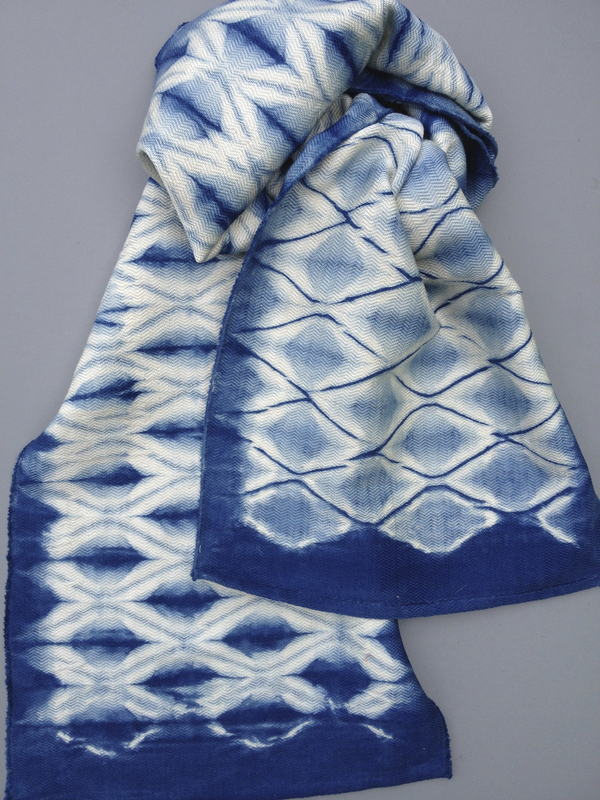 Support Oriole Mill, Catharine Ellis, and Slow Fiber Studios by purchasing one of these beautiful DIY shibori scarves. For more information on Catharine and her work, please visit her Member’s Page. wow- this is quite the product here. I wonder how many woven patterns she has created. Thanks Cool Quilting for the support! This entry was posted on 1 February 2014 by World Shibori Network.